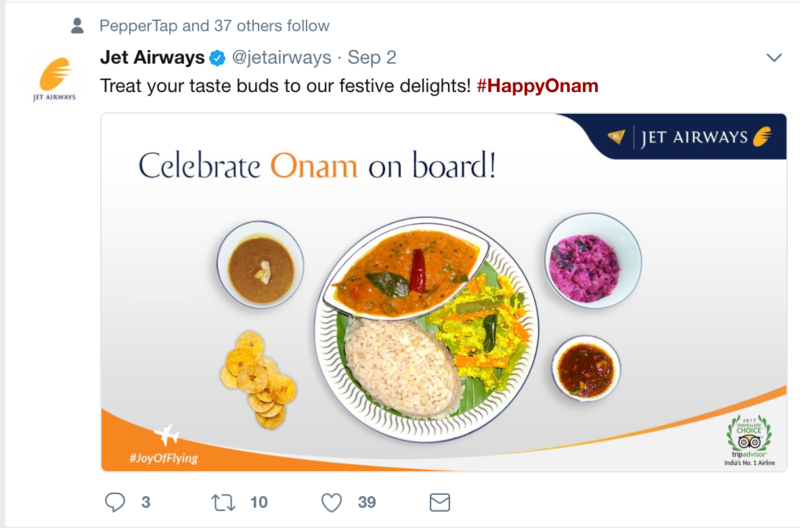 Social Samosa takes a look at Onam creatives that brands posted to engage with their customers. 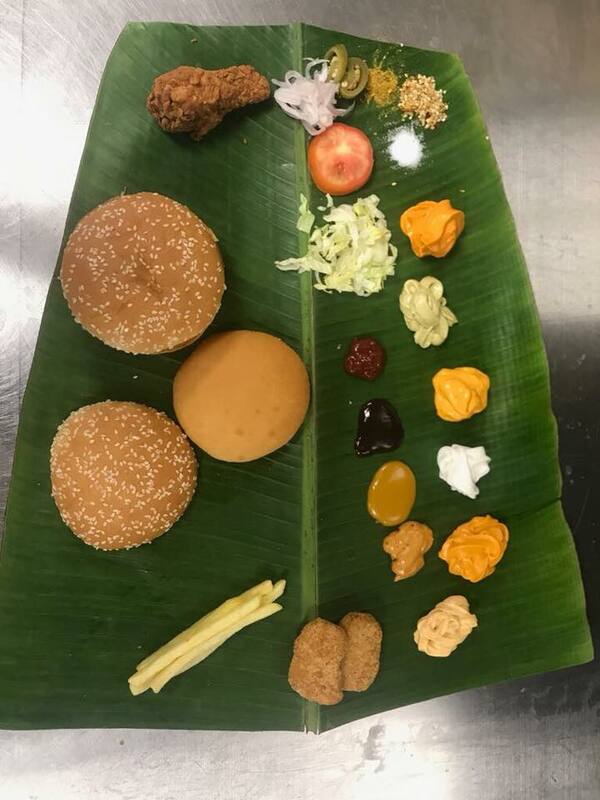 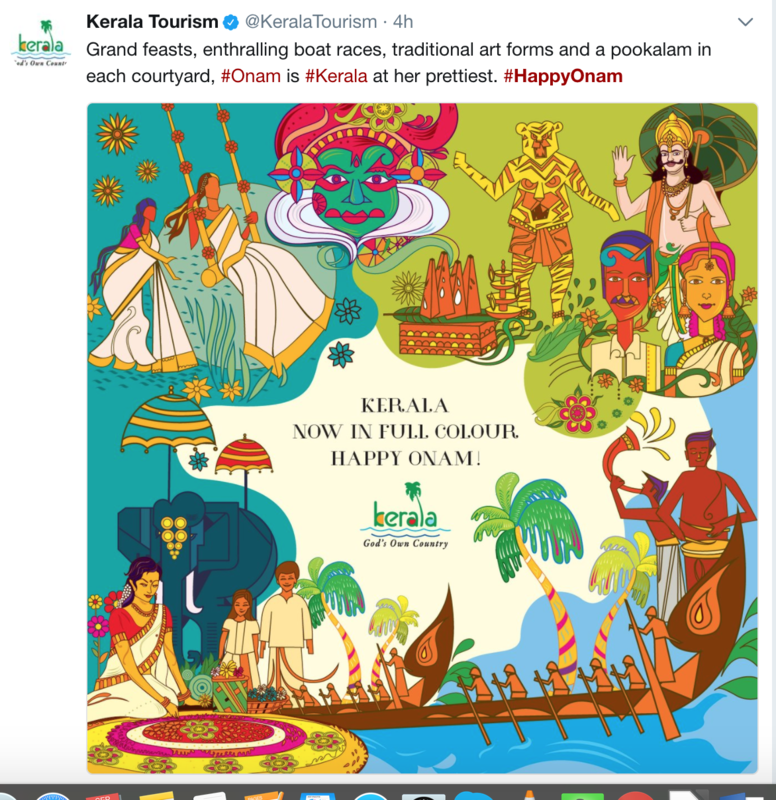 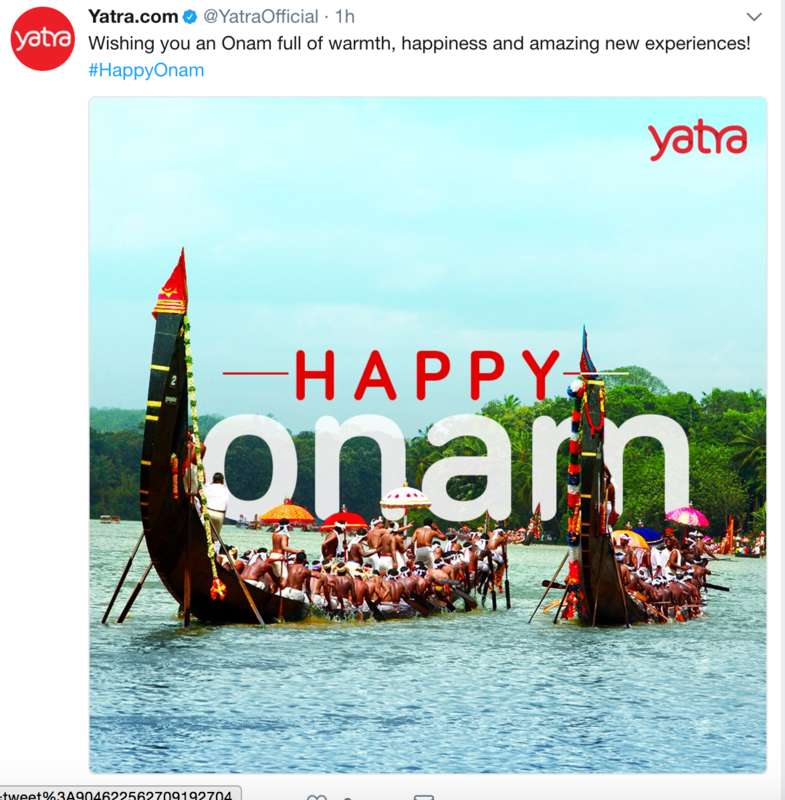 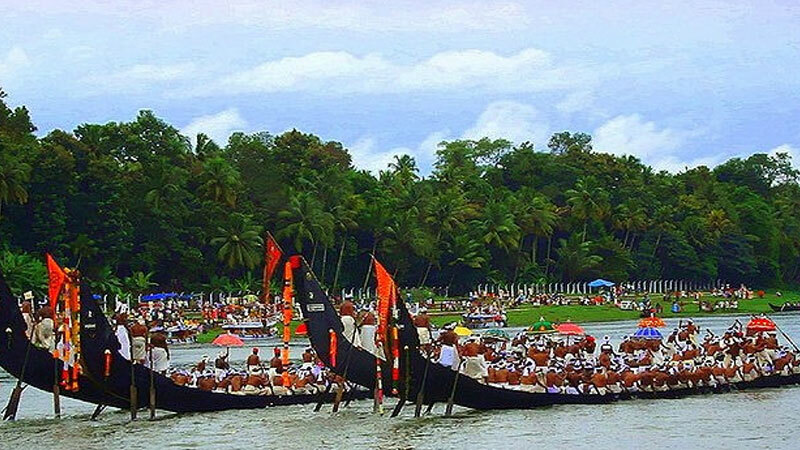 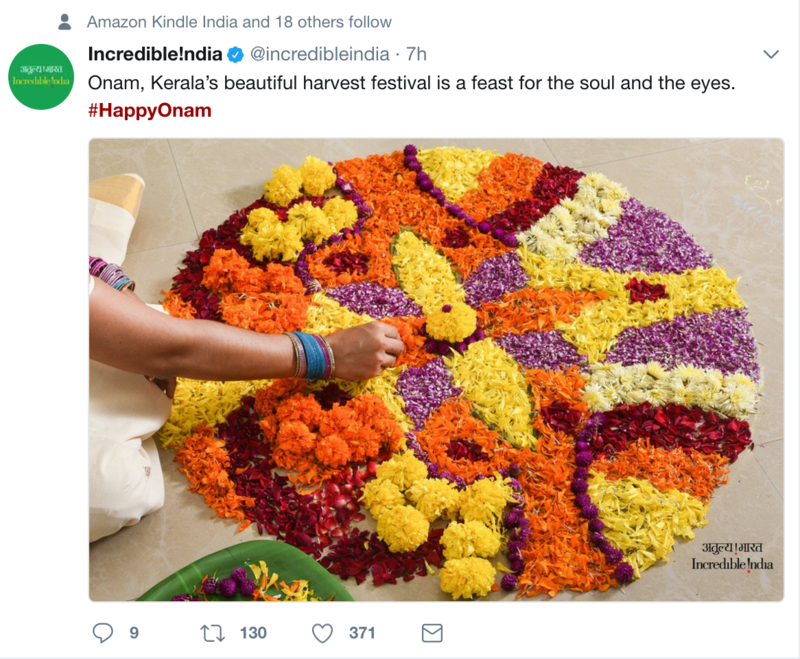 On the occasion of Onam which started on August 25 and will end on September 6, there are a lot of brands that have launched interesting creatives on social media around this auspicious occasion. 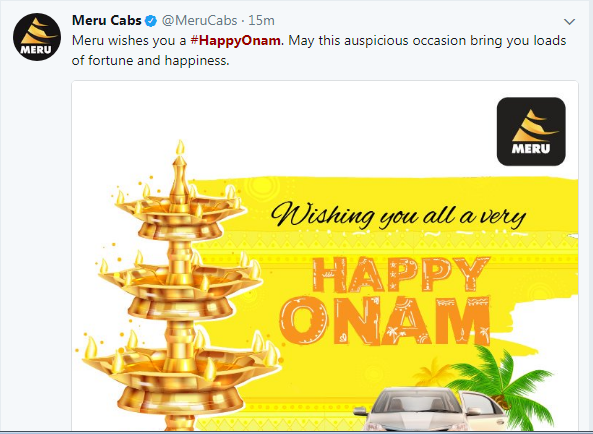 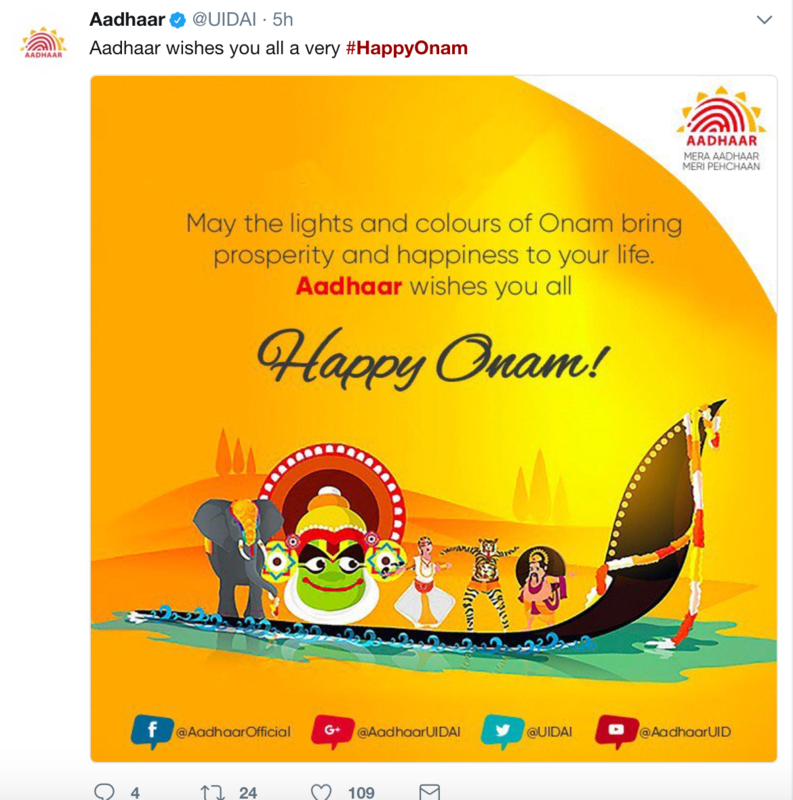 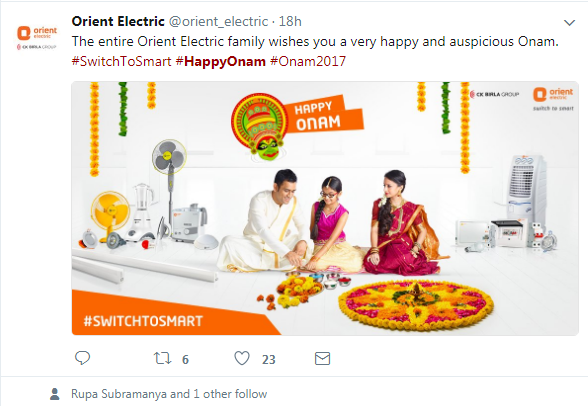 From Jet Airways, Yatra.com, Videocon, Orient Electric, Yes Bank, Meru India to Aadhaar, brands across categories are seen wishing their audience ‘Happy Onam’ with interesting creatives. 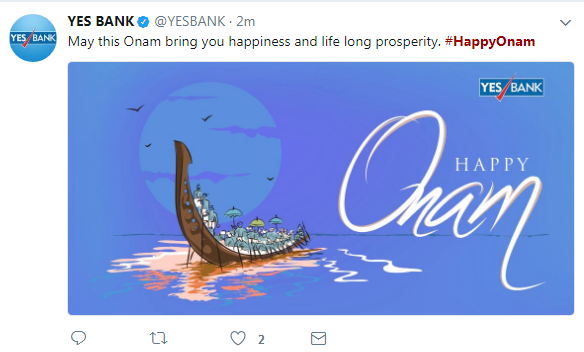 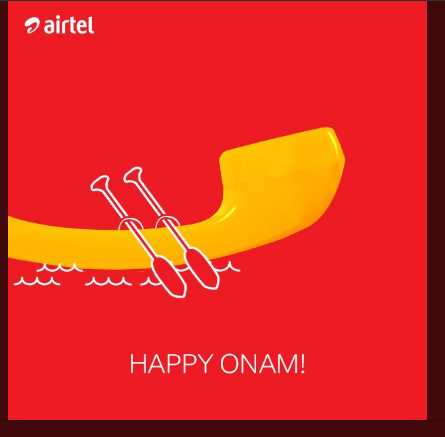 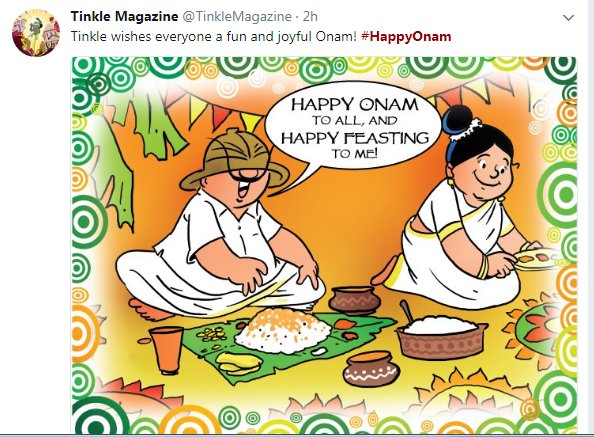 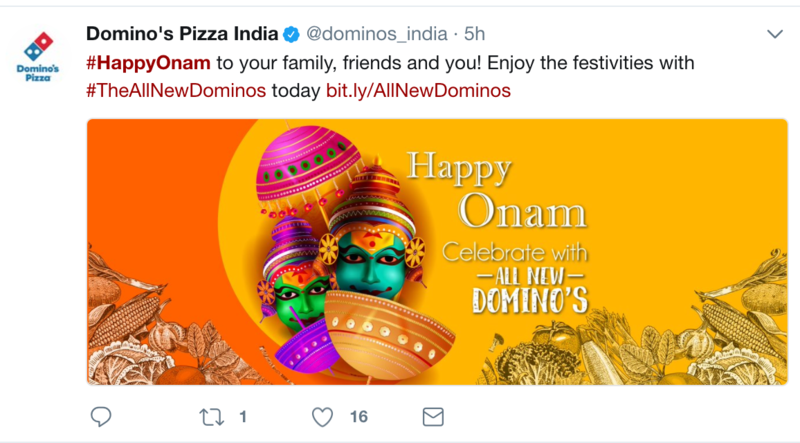 With hashtag #HappyOnam trending on Twitter since today morning, more brands have jumped on to the Onam bandwagon. 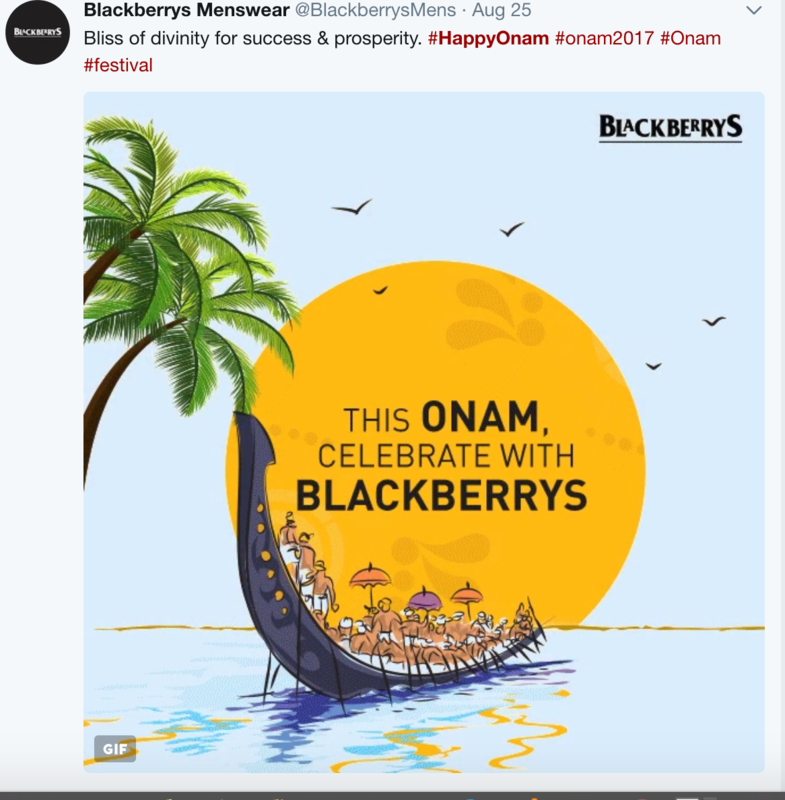 Below are examples of some brands that launched their Onam creatives to engage and connect with their consumers..
Did you come across any interesting Onam creatives on the occasion of Onam? 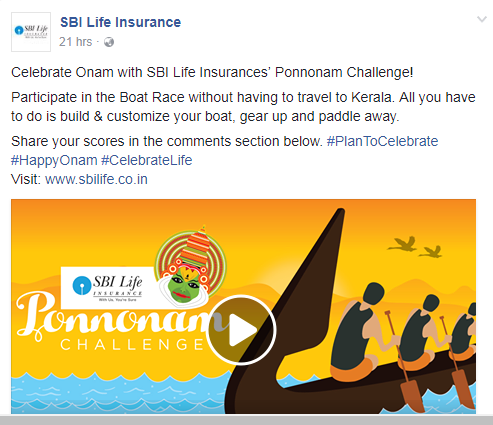 Do let us know in the comments section below or write to us at team@socialsamosa.com. 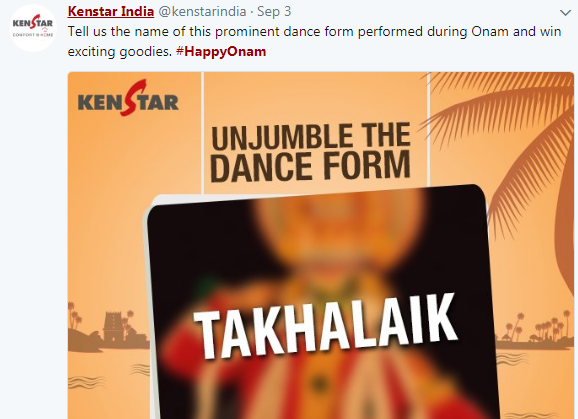 Can Masti condoms' new campaign leverage the condom ad ban noise?